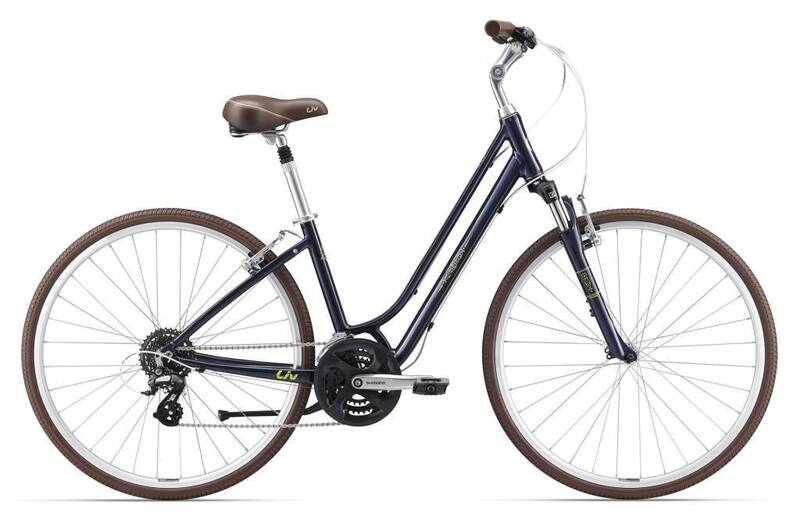 Rides like a dream - front suspension and a suspension seatpost smooth out cobblestones or rough roads to keep you comfortably cruising. With a functional yet elegant design and a lightweight aluminum frame that’s designed specifically for women, Flourish takes you from the market to the city center with ease. The step-through design makes it quick and easy to hop on and off and the wide gear range lets you find your happy place on flat roads and hills.